Chikara midwest tour kicks off this Thursday night! We Play the Greater Louisville Area this Saturday! This Saturday night, Chuck Taylor, the Kentucky Gentleman, tests himself against the raw power of Blaster McMassive! It’s a singles bout for the “Challenge of the Immortals” round-robin, and Taylor’s “Gentleman’s Club” team desperately need a point to get back in the running! 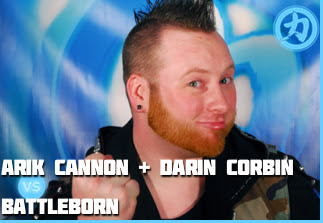 This week’s midwest tour sees the return of our old friends Arik Cannon and Darin Corbin (collectively called “AC/DC”) as they are set for tag team action against the Battleborn! Missile Assault Man and Lucas Calhounalready have 1 point toward title contention, and they want to get that much closer to a championship title bout by trouncing AC/DC! Our Jeffersonville, IN main event is rather historic in nature! 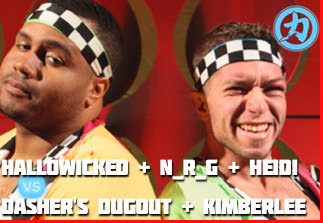 For the first time ever, all 4 CHIKARA champions will team together for atomicos action. Grand Champion Hallowicked teams with Campeones N_R_G and our Young Lions Cup champion Heidi Lovelace to face off against Dasher’s Dugout and Princess KimberLee! Tickets to our Jeffersonville event are available online right now! Saturday, October 24th, 2015 @ 7:00 p.m.
Live at the Jeffersonville Arena! Previous Previous post: Chikara midwest tour kicks off this Thursday night! Next Next post: Possession of Alcohol.